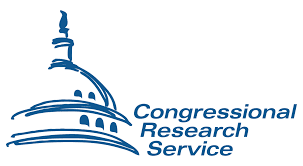 If you are interested in reading an OECD consultation document* that discusses the abuse of CBI programs to circumvent reporting under the Common reporting Standard (CRS), you have access the seven-page document here. *The document does not pull any punches; it notes that CBI schemes are a "backdoor for money launderers and tax evaders." 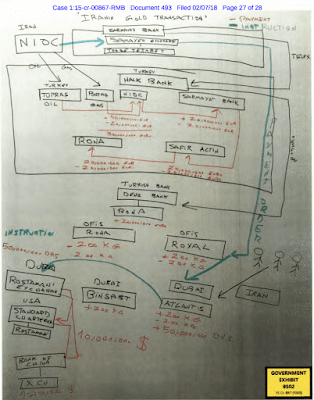 IS THERE A NEW SEALED INDICTMENT IN THE IRAN OIL-FOR-GOLD SANCTIONS EVASION SCANDAL ? Two sealed documents or pleadings have been filed in the Zarrab case, the Iran sanctions evasion scandal, where the primary defendant ultimately pled out. and the defendant who was his Turkish banker was convicted at trial. Given that sentencing has not been handed down yet, it is feasible that additional defendants have been indicted, and through such Substantial Assistance, the convicted defendants will receive a lesser sentence. So who are the possible second generation defenants in the oil-for-gold case ? 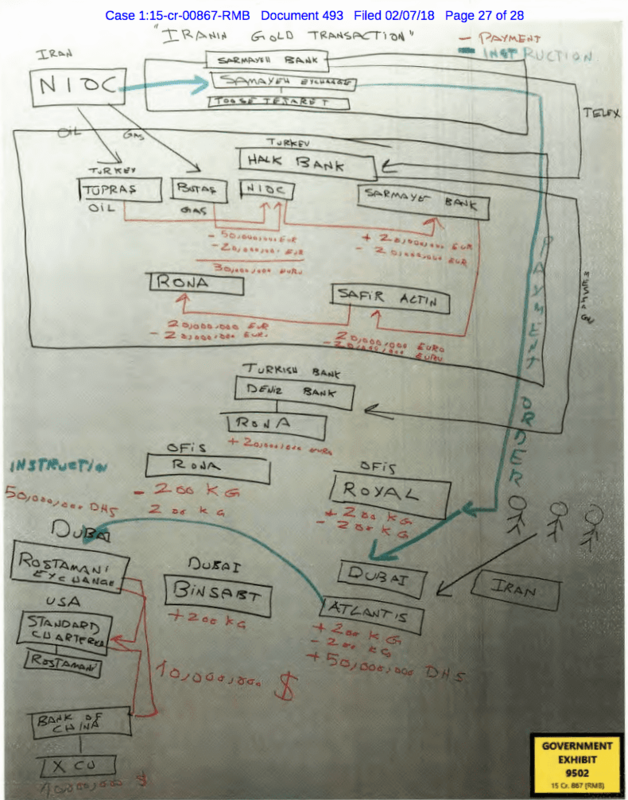 Zarrab's partners, Alireza Monfared & Babak Zanjani, come to mind, as well as Dominica PM Roosevelt Skerrit, who secured a diplomatic passport for Monfared (and possibly other Iranians), as well as Labuan (Malaysia) bankers who moved Iran's illicit oil profits. We cannot say who is next, but we shall, of course, continue to monitor all developments in the case, as they occur. 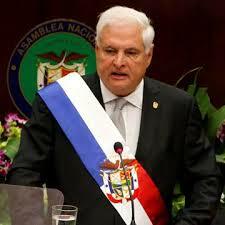 DOES RICARDO MARTINELLI THINK HE'S GOING TO BE RELEASED ? 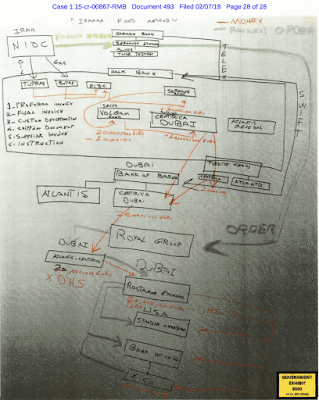 Just when you thought that you were starting to figure out the back story of Ricardo Martinelli's battle against extradition to his native Panama, the game changes. Martinelli reportedly has retained the services of a prominent Dutch attorney, formerly counsel for INTERPOL, and he is said to be working with that crime agency, attempting to remove the Red Notice pending against the former president of Panama. Inasmuch as an order of extradition has already been entered in the Martinelli case, cancelling the INTERPOL notice would not be effective to stay, or dismiss the proceedings, as they are based upon an outstanding Panamanian request for extradition, but, should Martinelli win the Habeus Corpus appeal, or leave the USA while out on bond, he would be at risk to be rearrested, if the Red Notice remained in full force and effect. Does Martinelli have one more trick up his sleeve ? 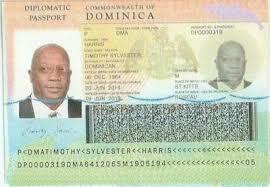 This the Application for Dominica Diplomatic Passport, filed by the St Kitts politician, Denzil Douglas, with photo attached. Those spin masters who have previously declared that Douglas neither applied for, nor received, a diplomatic passport from Dominica should be eating crow right about now, for it validates our claim that he received one, which previously appeared on this blog. It is a damning indictment of how the corrupt government machine operates in Roseau. 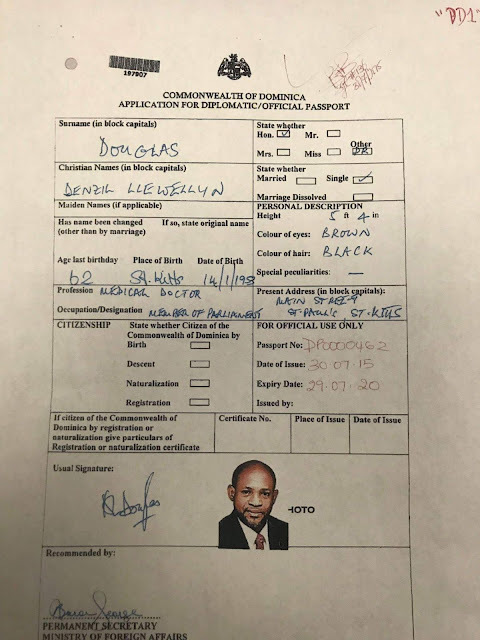 Note that Douglas omitted any information regarding how he acquired Dominica citizenship, but his application was nevertheless approved by the Permanent Secretary; note well her signature. (1) Where the "diplomat" is to be posted or stationed. (2) Precisely what is the diplomat's job description, specific mission, and duties are. (3) How the diplomat is to be accredited to a specific jurisdiction. Only the small number of bona fide Dominica diplomats have the right to obtained diplomatic passports, for they are genuine diplomats, and their staff. The others are all posers. therefore, all diplomatic applications are nonconforming, and any passports issued are not only void ab initio, they violate international law. They create bogus diplomats, without any duties, who use their new passports to evade international arrest warrants, successfully carry off smuggling through international borders, and engage in money laundering and sanctions evasion. Reliable reports from the English-speaking republics of the East Caribbean have confirmed that a number of East Caribbean financial institutions have very recently started refusing to accept customers' deposits of US one hundred dollar bills ($100), which are generally referred to as notes in the former British colonies. No reason has been given for this new policy. It is not known whether this action is taking place due to fears of counterfeits (the North Korean-origin Series 2006 "Supernote") in the region, a reluctance to accept bulk cash received from CBI applicants, or increased anti-money laundering compliance procedures, but our Panamanian sources have reminded us that Panama's banks stopped accepting US hundreds, when Chinese business interests there, including the Canal projects, increased exponentially. American bankers are warned to closely examine any import/export clients who are seeking to exchange large numbers of hundreds* for fifty dollar bills ($50), or twenty dollar bills ($20), for those denominations are still acceptable in the East Caribbean. When we have further information on this subject, we shall advise. 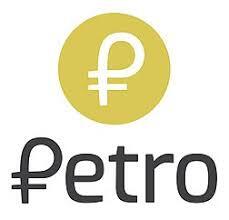 *Such actions are generally regarded as unusual, as most requests are to change smaller denominations for larger ones. In this case, it is the smaller bills that are desired. According to an eyewitness, seven months ago, a huge police roadblock was erected in Canefield, Trafalgar & Newtown, in Dominica. A massive law enforcement search was underway, and all passing vehicles, and their occupants, were thoroughly searched for a missing government-issued laptop; None was found. The owner of the allegedly lost computer was Minister of Foreign Affairs Francine Baron, which she asserted was stolen that day from her office. Dominica politics insiders have stated that she staged the loss of the laptop in order to prevent a judge from ordering it turned over. Opposition leaders were seeking a court order requiring her to turn over the list of Dominica Diplomatic passports issued by her office, that was said to be on that device. Given the allegations that some of the "Chinese nationals" with Dominica CBI or Diplomatic passports are, in truth and in fact, North Koreans posing as Chinese, US and United Nations sanctions against North Korea make proper identification of all foreign nationals who have acquired Dominica passports a National Security issue, but Miss Baron continues to conceal that information. The result may be that the resulting increase in Country Risk on Dominica will cause North American & EU-based banks to terminate the few correspondent banking relations held by Dominica banks. OFAC Specially Designated National sanctions could also be imposed on the Foreign Minister, and the Prime Minister, which would result in the cancellation of their US Visas, and seizure of all US-based assets. The US District Judge that heard ex-president Ricardo Martinelli's post-extradition order Habeus Corpus petition, and gave his counsel additional time to consider whether to file an appeal, has now denied a motion for an additional stay regarding enforcement of the order. While there is no right of appeal from the extradition order, Martinelli's attorneys can appeal the denial of the habeus petition. The Court has given Martinelli until March 5th to seek a stay of enforcement of the extradition order from the Eleventh Circuit Court of Appeals, which will require the filing of a Notice of Appeal. (1) A Dominica-flagged oil tanker is intercepted on the high seas, near the Korean Peninsula, with a North Korean tanker, under circumstances that clearly suggest that illegal transfer of oil to the DPRK has occurred. (2) A Chinese national, based in Hong Kong, acting as an agent for a UN sanctioned North Korean bank, and holding a Dominican passport, is involved in major UN sanctions evasion. (3) Dominica's Minister of Foreign Affairs, Francine Baron, continues, without legal cause, to refuse to disclose the names and assignments of the individuals holding diplomatic passports, which may exceed 500, given the serial numbers seen on diplomatic passports, given to foreign nationals who subsequently were arrested, accused of international criminal conduct, or UN sanctions evasion. 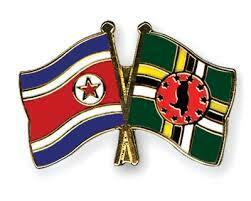 How many North Korean nationals have purchased Dominica CBI passports for huge sums of US Dollars ? We cannot say, but we know that they exist, according to reputable sources in Dominica. North Koreans had ready access to Dominican officials, and CBI consultants, at events held in China. 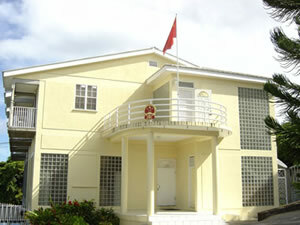 Are there any North Korean nationals inside the Chinese Embassy in Dominica, and if so, what are they doing there ? The embassy is believed to be an electronic listening post on US military & civilian communications traffic in the Caribbean, as well as within the Continental United States (CONUS)North Korea has had a covert relationship with the Bolivarian Republic of Venezuela, since Hugo Chavez was president, and Dominica's current Prime Minister, Roosevelt Skerrit, is a rabid supporter of Venezuela's radical regime. Now let us put it together; North Korean agents are known to have posed as Chinese when stationed inside Venezuela. Given that it is doubtful anyone in Dominica, except an academic, can distinguish between a Chinese national, and one from North Korea, who is in the embassy ? Grenadian sources are reporting that the country's Citizenship by Investment (CBI) Program has approved citizen applications for nationals of the Democratic Peoples' Republic of Korea (DPRK), more commonly known as North Korea, most of whose leaders, agencies, banks and government-controlled corporations are sanctioned by the Office of Foreign Assets Control (OFAC), in addition to massive United Nations sanctions. 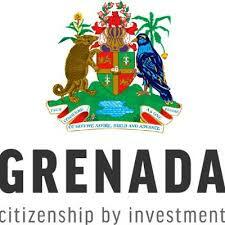 Has Grenada no understanding of its international obligations and responsibilities ? 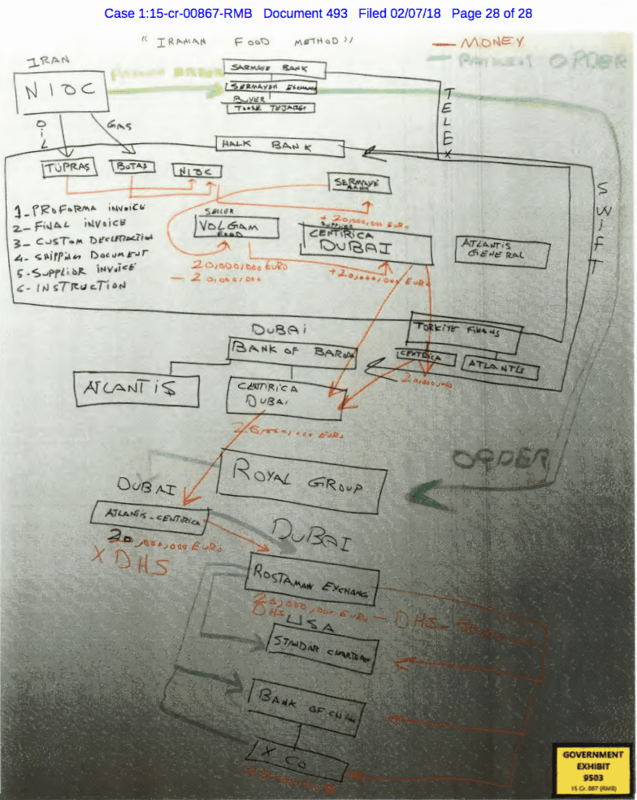 It is also alleged that Kaisha Ince*, who commands the CBI program, and who is ultimately responsible for all decisions on applications, personally approved the North Koreans. Given that Ince is a known paramour of the (married) Prime Minister, Keith Mitchell, and the PM has ultimate authority for the CBI program, he can be considered strictly liable for any program misconduct, or illegal acts Ince commits, in the name of the Government of Grenada. 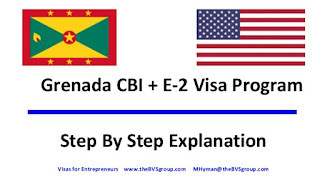 It is humbly suggested that a responsible, nonpolitical entity confirm that North Koreans do now hold CBI passports from Grenada, by independently reviewing the records of the program, and making public its findings. If there is a factual basis for these allegations, then the voters of Grenada had best take steps to replace PM Mitchell at the next election, lest they find Grenada leaders abruptly blacklisted by OFAC, their travel to the United States severely restricted, or even banned, and their banks cast adrift, losing correspondent relationships with American financial institutions, and the country's reputation stained by its links to North Korea, a national security risk. *We have previously detailed Ince's misconduct, while in office, on this blog, and provided evidence in support thereof. She was recorded asserting that she would have the article removed from this blog. They remain online, attesting to her malfeasance in office, and rampant corruption. 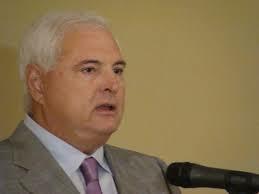 The fugitive former president of Panama, Ricardo Martinelli, may have lost his Habeus Corpus petition, but the court file remains sealed, through a loophole not designed to hide the truth from the public and the media, but employed in a deceptive manner nevertheless. Martinelli, whose illegal video surveillance of Panama's elite resulted in major criminal charges being filed against him, has still not been extradited, although he has lost twice in the Federal court system, and he should be on a night flight to face Panamanian justice, he's still in Miami. Wonder why ? We cannot tell what his grounds were for filing the Habeus petition, after a Federal Judge ordered him deported, because the relevant pleadings are curiously not available, as we do not have "permission" to view them. This is not some secret plea agreement, where some law enforcement agent's undercover identity needs to be protected, nor is it a Pre-Sentence Investigation Report (PSIR). The file is not sealed, just strangely made unavailable to all of us, thanks to someone's wishes. Don't you wonder what embarrassing information Martinelli placed in his petition ? Law enforcement misconduct ? Trump's Panama hi-jinks at a bordello ? Covert US operations in Latin America ? Somebody needs to let us in on the joke, because we are not amused. WILL THE NORTH KOREAN USD$100 SUPERNOTE ENTER THE US THROUGH CHINA'S EXPANDING EAST CARIBBEAN FOOTPRINT ? If you follow the world of financial crime, you probably know that the so-called "Supernote," the North Korean-manufactured USD$100 bill, has recently resurfaced, this time in November, 2017 in South Korea, where a virtually flawless new version appeared in Seoul. Its status as a counterfeit was only confirmed after a team of bank experts closely examined the bill, and determined it to be bogus. This is the first known sighting of a previously unknown variation, and it is extremely troubling. This iteration of the $100 note, of the old 2006 Series, which cleverly does not include the additional anti-counterfeiting features included in subsequent modifications. If you are not familiar with the 2006, it features the signatures of Ana Escobedo Cabral, as US Treasurer, and Henry M Paulson, as Secretary of the Treasury. 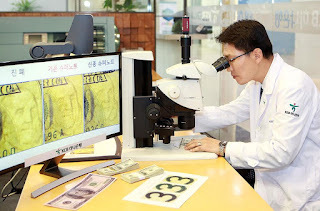 Given that the Series 2002 and Series 2003 version of the Supernote were distributed through North Korean Embassies, to tourists visiting North Korea, and extensively through banks and businesses in the Peoples' Republic of China, you can expect that similar methods will be employed in 2018 or 2019. 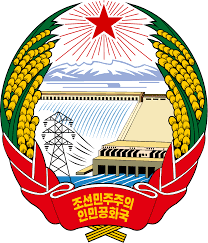 Given China's expanded presence in the English-speaking republics of the East Caribbean, with unusually large embassies(which appear to be electronic surveillance listening posts), and economic programs directed at providing developmental aid to those countries, there is a well-founded fear that it will assist its DPRK ally in covert distribution of the counterfeits. For political and diplomatic reasons, China was not identified or criticized for its role in Supernote distribution, but the involvement of its financial sector was a major factor, and it must be assumed that it was with government approval and support. 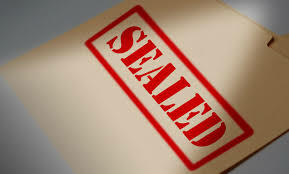 It is not known precisely how many Chinese nationals hold CBI or Diplomatic passports from the East Caribbean countries, St Kitts & Nevis, Antigua & Barbuda, Dominica, St Lucia & Grenada, but they represent an alternative method of placement of the counterfeits in the region. One Chinese holder of a Dominica diplomatic passport is known to be a major trading agent for North Korea, operating out of Hong Kong, and it is estimated that there are others not heretofore identified. Due to the opaque nature of the various diplomatic passport programs, it is not known how many North Korean agents presently hold Dominica, St Kitts or Grenada CBI and/or diplomatic passports, especially if they hold themselves out to be Chinese, Taiwanese, or South Korean nationals. Given the fact that the new Supernote appears to have passed the usual, perfunctory checks, it could appear in the casinos, or even as payment for CBI passports, without being immediately discovered, and end up in the economy, including local banks, and enter the US without prior warning. 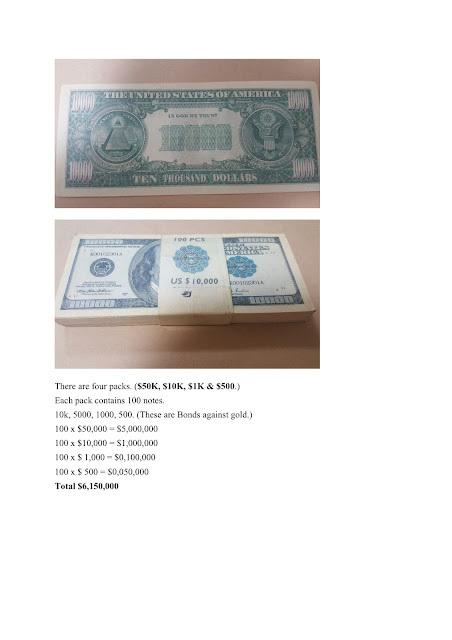 I have not seen any alerts from the US Secret Service, which has jurisdiction over counterfeit currency investigations, but there has not been any news of this Supernote being seen in the United States. It might be prudent, however, for US bankers to be alert for any deposits of $100 bills, where the majority are Series 2006, in uncirculated or mint condition. If there are any other reports of this bill surfacing, we shall promptly notify our readers. 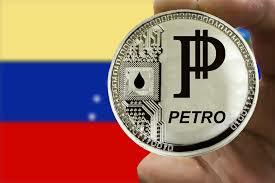 Compliance officers who wish to learn about Venezuela's new oil-backed cyber currency, PETRO, might want to read the 22-page White Paper on the subject here. A note of caution: This is a Venezuelan government document. 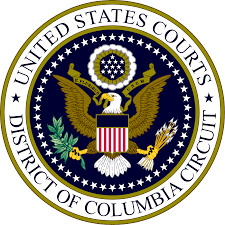 It has been a month since the DC Circuit held Oral Argument in the Waked appeal of the unfavorable judgment in the OFAC case we have been reporting on, but still, no decision has been filed. If curiosity has gotten the better of you, you may listen to the hearing online here. The case is Abdul Waked Fares vs. John Smith et al. The United Nations has suspended the Commonwealth of Dominica and Grenada from General Assembly voting privileges, for chronic nonpayment of member dues and required contributions.. The information was released at the end of January; no other Caribbean nations were cited for non-payment. When dues are two years' delinquent, the UN imposes voting sanctions. The Ministry of Foreign Affairs of Grenada released a public statement to the effect that payment had recently been transmitted, but this has not been confirmed. 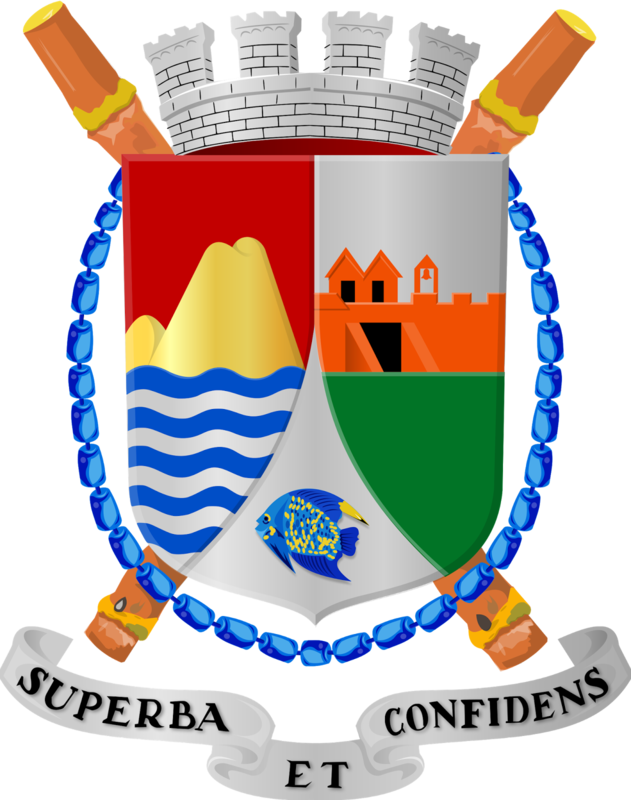 No statements regarding payment have been made from, or on behalf of, Dominica. 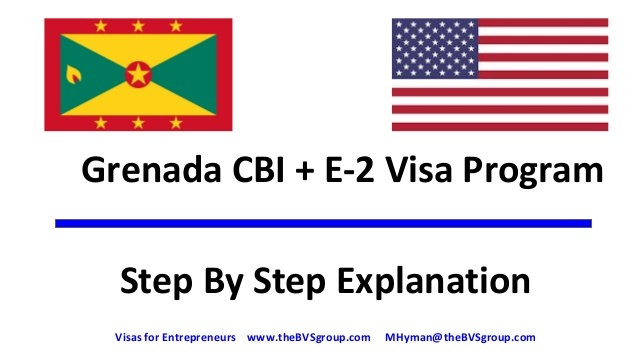 Though there are exceptions available, for a country's inability to pay, both Grenada & Dominica operate Citizenship by Investment (CBI) programs, and the proceeds from only one completed application would be sufficient for those nations to cover their annual UN dues and charges. It is known that CBI income. as to both countries, is substantial. If you are a compliance officer at an international bank whose clients conduct business with Panamanian corporations, or who is involved in vetting wire transfers to or from Panama, it is suggested that you review the 2018 Mutual Evaluation Report of the Republic of Panama. You may access the document here. WHEN WILL EUROPEAN UNION OR USA INTERVENE TO FREE HUMAN RIGHTS VICTIM IN POLITICAL MONEY LAUNDERING CASE ? Notwithstanding that the European Parliament has held proceedings on the illegal detention of Russian-Spanish businessman Vladimir Kokorev, and that two MEPs have come out in support of concrete action, the European Union remains passive in the Kokorev scandal. In a case more reminiscent of the Russian Gulags, the "material witness" remains under House Arrest, after more than two years of illegal detention in a Spanish prison. A bogus money laundering case holds him captive, contrary to Spain's own laws regarding pretrial release, as well as EU Human Rights principles. Given that no charges have ever been filed against any individual or entity, and the strong suspicion that affluent Spanish business interests, obsessed with obtaining Equatorial Guinea's lucrative oil concessions, we also wonder why the United States have never taken diplomatic action to free Mr. Kokorev. After all, it is American oil firms that are currently benefiting from their contracts with EG, and a change of government there, as engineered by Spanish interests, could result in a loss of important business, and assignment of those extraction rights to Spanish companies. Where is the United States in this human rights violation ? Transfer Pricing is well known to students of financial crime; it occurs when a taxpayer elects to take profits from an international transaction in a lo- or zero-tax jurisdiction, by manipulating sales process through the use of controlled corporate entities. Profits only show up where there are, effectively, no taxes payable. The crime generally manifests itself as tax fraud, or money laundering, or both. and it is responsible for the loss of literally billions of dollars in tax revenues, on a global scale. Importers and exporters are often pressured to engage in illegal price manipulation, for they are uniquely situated to alter books and records. Generally, Transfer Pricing schemes are employed to evade taxes upon sales, but there are instances where large purchases give financial criminals the opportunity to resort to Transfer Pricing. A case study, to assist readers in understanding the issues involved. 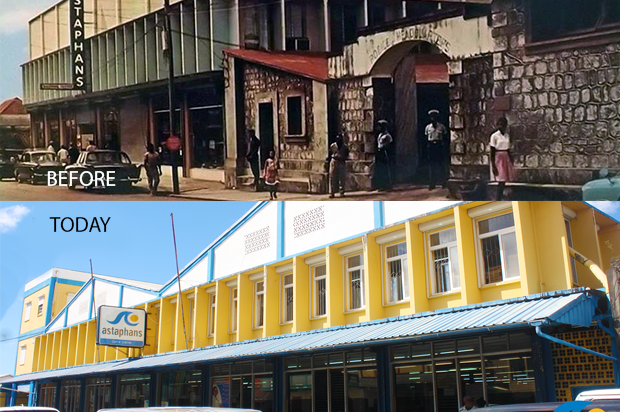 J Astaphan & Co Ltd., d/b/a/ Astaphan's, has been engaged in retail consumer sales in Dominica for decades. 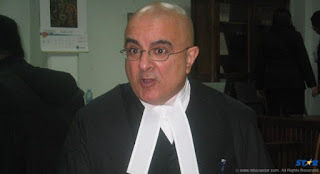 You are familiar with Dominica attorney Anthony Astaphan, counsel to the Prime Minister, Roosevelt Skerrit; Anthony's extended family owns the business. According to reliable Dominica sources, Astaphan's purchases its US-based goods from a Florida corporation named Vanste, Inc., in what purport to be arms-length transactions. In truth and in fact, the sole officer of Vanste Inc. is Neyra Beatriz Ceballos, who, notwithstanding her last name, is the wife of Jack Maurice Astaphan. 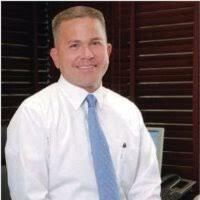 Miami-Dade County Official Records searches confirm their spousal standing. Vanste shows only one employee, Jack Astaphan, and he confirms this on his Internet postings. Vanste's "office" is a single family residence, not zoned commercial, at 15746 SW 101 Street, Miami, Florida. This real estate is owned by Jack Astaphan, and he has registered it as Homestead under Florida law, meaning that it is his primary residence. Both Astaphan and Ceballos show that property as their residence for voting purposes. The hard line telephone number at that address, (305) 386-5669, comes back to Anthony Astaphan's sister, Genevieve Astaphan. 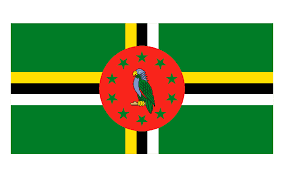 If the purchase prices paid by Vanste Inc. for goods shipped and sold to Astaphan's in Dominica are for a lesser amount than Vanste paid for them, and therefore Dominica Inland Revenue Division will only tax the arriving goods on the stated value/purchase price, then duty is greatly reduced, and Transfer Pricing has occurred. If this is the case, Vanste's declared profits ( or losses) may constitute tax fraud in the United States, for whomever reaped the illegal benefits. 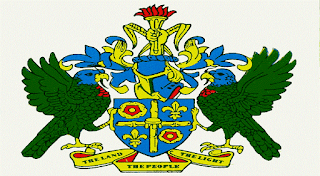 Additionally, Dominica tax obligations, owed by Astaphan's, should be examined. Unfortunately, in a country where undue influence and corruption is the order of the day, we understand that Anthony Astaphan has insured that Inland Revenue is forever prohibited from auditing Astaphan's books of account, so we are unable to quantify the amount of taxes evaded, at either the US or Dominica end, but we trust that this article has given the reader additional insight into the mechanics of Transfer Pricing and tax evasion,, as it relates to sales, rather than purchases. NO CONFLICT OF INTEREST IN ANTIGUA ? ARE YOU KIDDING ME ! (1) Astaphan was, until recently, the personal attorney for Antigua Prime Minister Gaston Browne. 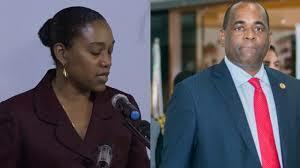 Antigua sources allege that Browne is one of suspects in the bribery investigation. (2) Astaphan is married to a member of Antigua's Bird family, and has reportedly represented that family in the past. A Bird was a previous prime minister of Antigua. (3) Astaphan has a long history of representing several East Caribbean leaders linked to corruption. How can he possibly render an objective opinion, when his career is replete with dodgy government officials under suspicion for accepting bribes & kickbacks ? This case is a textbook example of who NOT to choose to conduct an impartial investigation into charges of corruption, on behalf of the ONDCP. Find someone neutral and truly qualified as an objective finder of fact, not an advocate for the worst that the East Caribbean has to offer its voters. It is humbly suggested that a competent investigator, from outside the region, be engaged, to uncover the truth, wherever its takes him. 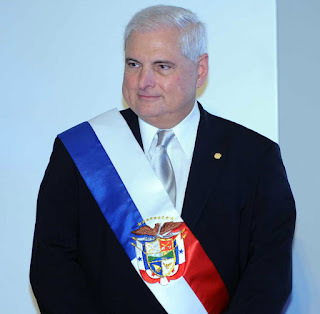 The Government's appeal of the order granting bond to fugitive Panamanian president Ricardo Martinelli was followed by its motion to stay bond , pending the resolution of that appeal, and the Eleventh Circuit agreed. Martinelli's counsels' efforts to obtain bond from the Eleventh Circuit were denied as moot, given that the District Court had stayed enforcement of its order granting bond. The appellate court did call for an expedited briefing schedule for the appeal, which will accelerate the progress of the case on appeal. IF ANTIGUA'S TOURISM MINISTER WAS IN TRANSIT TO FRANCE, WHAT WAS HE DOING IN LONDON ? The controversy surrounding the European trip of Asot Michael, the cashiered ex-Minister of Tourism and Investment. continues to raise questions. 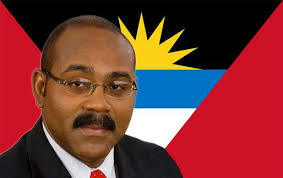 The people of Antigua & Barbuda are certainly entitled to some straight answers. (1) The minister was en route to a conference in Cannes; why did he not fly to an island in the French West Indies, such as St Martin, Guadeloupe or Martinique, where he could have caught a nonstop flight to France. Why travel to the UK first ? Was he intending to meet someone there, and reportedly reassure him, and was it the unnamed British national,who had allegedly paid him a bribe, but received nothing in return ? (2) Was he carrying blank CBI passports, and for what purpose, when he was detained* on orders of the National Crime Agency (NCA), regarding the payment of an illegal "gratuity"? 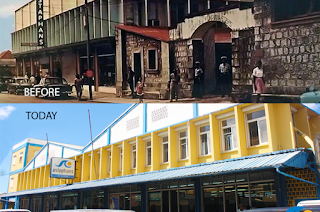 Though Antiguan authorities state that no passports were listed on the property receipt, our source disputes this. (3) Why did the minister, now effectively sacked, after his detention and interrogation, travel into Central London ? His destination was the Cannes conference. 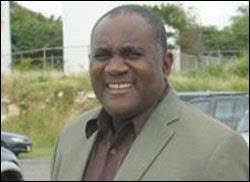 (4) Who is the other very senior Antigua government official alleged to be involved in the bribe scandal ? My sources assert that former Minister Michael did not act alone. Until there are complete answers to these questions, we fear that the Michael scandal will remain troublesome for the Government of Antigua, and a source of concern. There may be perfectly legitimate reasons for some of these suspicious activities, and we will keep an open mind, as we seek to unravel the mystery. 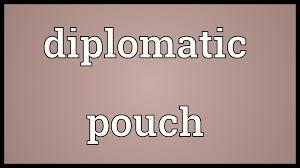 * I can see no issues of diplomatic immunity in the United Kingdom, as the minister was neither assigned to the UK mission, nor was his secondment to the Embassy accepted by the UK Government. 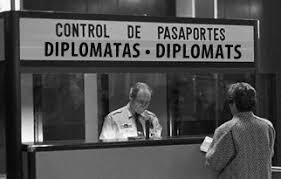 Contrary to popular belief, diplomatic immunity has strict parameters and limits, to come into force and effect. The Federal Judge who ordered Ricardo Martinelli released on bond, while his attorneys appeal the Court's order denying his Habeus Corpus petition, has stayed the release of the former president of Panama. The Attorney General objected to his release, and the Court thereafter agreed that the United States would be unable to extradite him to Panama, if he subsequently became unavailable, in a well-reasoned opinion, that, unlike most of the pleadings in the case, is available to the public for review. We still have no confirmation concerning precisely what grounds Martinelli's able legal team alleged in their petition. Were the extradition papers procedurally defective, or the Panama extradition statute itself fatally flawed ? We cannot say, but perhaps the appeal will settle those questions in the negative.What about the Panamanian allegations about damaging bordello visit videos of Trump, taken by Martinelli's National Security Agency spies, when trump visited the Trump Ocean Cliub ? So many issues, so little time. Do you remember what happened to the Tamil Tigers ? Defeated on the battlefield, they continues to employ their agents overseas. Well, ISIS is doing the same thing. 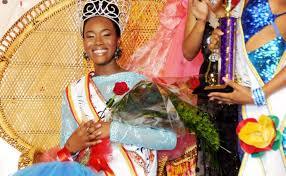 It has expanded its recruiting and "enlistment" program throughout the Caribbean. Unemployed and penniless youth in Haiti, the Dominican Republic, Trinidad & Tobago, and other East Caribbean nations are clothed, given money, converted, trained, assisted with passports, and brainwashed about ISIS' fabled Middle Eastern "Caliphate." The next stop is transport eastbound, with airfare, through a third country, all handled by ISIS agents. Why the governments of the region are failing to deport ISIS cadre, and disrupt their financial operations cannot be understood. Bribes are most likely employed to insure that corrupt officials ignore their activities. 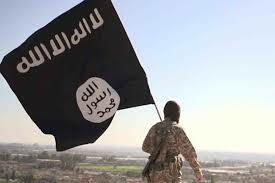 The long-term effect of these covert programs cannot be minimized, for those ISIS soldiers who survive combat will eventually return to the region, bringing their radical perspectives with them, together with experience in the field of asymmetric warfare. Will they destabilize the home countries upon their return, or agitate for Shariah laws to be enacted at home ? Will they engage in terrorist financing ? Either way, the Caribbean states will eventually reap this whirlwind, and they are certainly not now capable of dealing with it. The US District Court Judge who denied fugitive former Panamanian president Ricardo Martinelli's Habeus Corpus petition has entered an order allowing him to be released on one million dollars cash bond, to Home Confinement (House Arrest). The Attorney General's representative has objected, and taken an appeal of that order. The Court has not yet ruled on whether to stay the release order, while the Government's appeal of that order is pending. The Court file remains unavailable, so we still do not know the details of Martinelli's petition. ©2018 Kenneth Rijock; Contributed by Kenneth Rijock. If you are a wealthy businessman, living in the Middle East, the Peoples' Republic of China, or Russia, and the international CBI consultancy firm you are working with tells you that you might also acquire a diplomatic passport from one of the East Caribbean jurisdictions, kindly pay close attention to this article. Otherwise, you may end up purchasing, at great expense, an identification document that not only fails to meet United Nations treaty requirements, it could mark you as a target, conferring a level of international law enforcement attention that you will definitely not appreciate. (1) Diplomats, with rare exceptions, are to be nationals of the country in which they are diplomats. (2) Diplomats must not be involved in either commercial or professional endeavors in the host country. (3) Diplomats must be posted and assigned to a specific jurisdiction, have a specific work mission there, and be accredited to, and accepted by, the country to which they are posted. (4) Their diplomatic immunity only extends to the host country, and to other jurisdictions while actually in transit to and from their work assignments, but nowhere else. Therefore, any notion of global immunity from criminal prosecution, as hyped by eager consultants who are neither attorneys admitted to practice in the jurisdiction, nor lawyers competent in the fields of diplomacy and international law, is flat out wrong. Unless you want to have an expensive book to decorate your den, obtaining a diplomatic passport, when you are not actually performing actual diplomatic duties, on behalf of a foreign power, is a real waste of your money. Sure, perhaps you can impress an airport customs official, in a remote part of the world, and thereafter skip the line, but the moment you start believing the hype, and attempt to evade customs inspection, or arrest, elsewhere, after filling a diplomatic pouch with bearer financial instruments, you may experience a rude awakening, and a very embarrassing, or costly, incident. 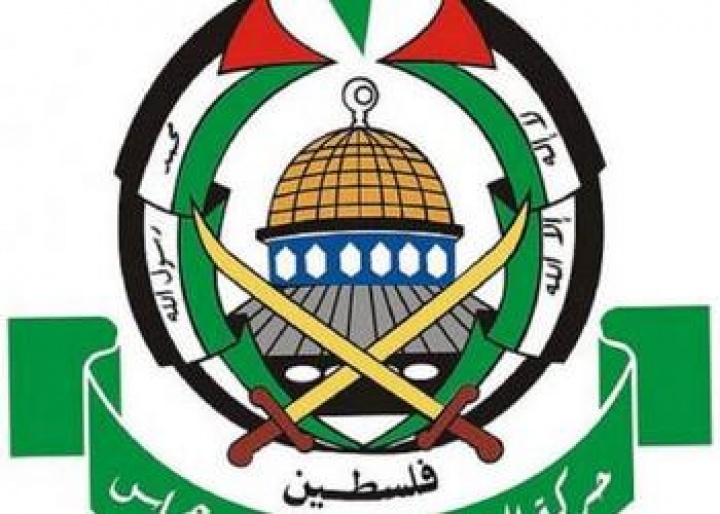 Israeli security agencies uncovered an organization, based in and operated by Turkey, that utilized a front company to bulk cash smuggle Euros into Judea & Samaria (West Bank), for Hamas terrorist activities. A Turkish national was expelled, and a Palestinian arrested, after slightly less than one one million Euros, in cash, were seized form the suspects. 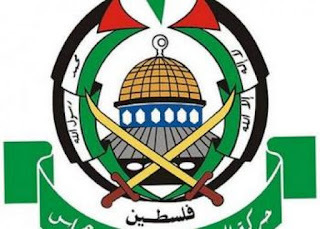 A front company, operating from Turkey, is believed to have moved millions of Euros into Israel, as part of a Hamas terrorist financing syndicate based there. Turkey gives Hamas leaders a safe haven in its country, from which it plans and launches terrorist operations. 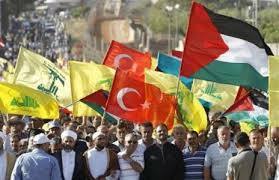 The Hamas presence there is part of the reason why Country Risk remains elevated for Turkey. 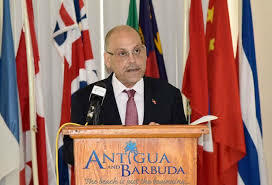 When British law enforcement arrested Antigua's Minister of Tourism & Investment, Asot Michael, upon his arrival in London en route to an investment conference in Cannes, they detained him for questioning about allegations that he accepted bribes from a UK national, to illegally facilitate a business matter in his country. What they reportedly got was a bit more than they expected. In Asot's bags & baggage were allegedly a number of blank, valid Antigua passports, a fact not released to the media*. Was that why Antigua's Prime Minister, Gaston Browne, immediately relieved Michael of his ministerial portfolio, or was this sensitive information restricted, and not communicated to Antigua ? We cannot say, but the matter demonstrates a major problem, repeatedly originating in the Caribbean. 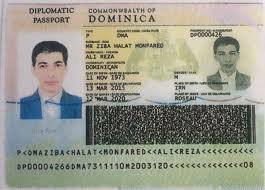 (1) Right after 9-11, when US military forces attacked the Taliban in Afghanistan, they seized a treasure trove of blank, totally valid, passports from the Republic of Haiti. 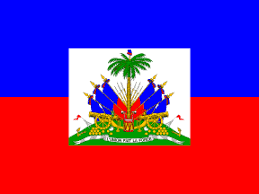 America restricted this information, the public disclosure of which would have proven extremely embarrassing to the struggling Government of Haiti. A subsequent investigation revealed that a Palestinian businessman had purchased the passports, for cash, in Port-au-Prince in the summer of 2001, from a corrupt member in government. Compliance officers in North America now routinely initiate enhanced due diligence investigations of passports holders from Caribbean countries, in large part, because they must insure that the holder is not what he or she appears to be, a Caribbean national. This is reinforced every time a law enforcement agency seizes a hoard of bulk blank passports from one of the countries in the region. The Caribbean nations will never become a part of America's Visa Waiver Program as long as this issue, and other passport issues, remain unresolved. While we have repeatedly covered the Leroy King case from Antigua, the country's former Financial Services Regulatory Commission head, wanted for his primary role in the $7bn Stanford International Bank Ponzi scheme, and whose decade-old extradition case is stalled in the Antiguan justice system indefinitely, inside sources advise that there is one other major fugitive from American justice that is living freely & openly in Antigua. Why will the United States not seek to extradite him; Does the US no longer have any confidence in the Rule of Law, as it is practiced on Antigua & Barbuda, because of the Leroy King case ? The offender's name is David Algernon Joseph, wanted since 1999 in the United States, for cocaine trafficking, and other related offenses; he also has a prior weapons conviction, and violated Parole in that case as well. While his co-defendant received a life sentence, Joseph has cheated justice, never having served a day in prison for his crimes. Though he appears on the INTERPOL wanted list, Antigua advises that he has never been the subject of an extradition, and law enforcement authorities there state that they will act if they receive a warrant seeking his extradition. What happened here ? The answer is most likely whether the Leroy King case, where all the dodges and excuses have been employed to delay King's extradition, has so poisoned America's faith in Antigua's court system, that it no longer desires to waste time & money chasing another fugitive. 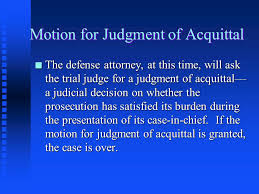 Repeated judicial reassignments ad nauseum, allowing the defendant file bogus appeal after appeal, sitting on the case for months and even years without rulings, all tricks more common to a court in the Banana Republics, than an English Common Law jurisdiction, have frozen the 2009 extradition in place. It is doubtful that he will ever see the inside of a Texas courtroom, as his probable disclosures there about Sir Allen Stanford's payments to Antigua's political elite might implicate powerful individuals in corrupt activities they prefer to keep hidden permanently. Therefore, David Joseph remains free as a tropical bird in Antigua. A reliable source on that island reports that he continues to be engaged in drug trafficking, and we wonder where he is placing his criminal profits in Antigua's banks. 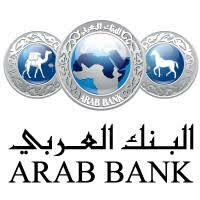 The Second Circuit Court of Appeals decision in Linde vs. Arab Bank can be accessed here. If you are not familiar with the facts, there are several articles on this blog to bring you up to speed, before you wade into this 39 page decision. The US District Court Judge presiding over the Iran oil-for-gold sanctions evasion case has denied the Rule 29(a) Motion for a Judgment of Acquittal, filed by the sole defendant being tried, Halkbank Deputy CEO Mehmet Atilla. Atilla's counsel made an ore tenus motion at the close of the Government's case, and later filed a written motion. Readers who require a summary of the issues should review the 28-page Decision and Order, as it is an excellent summary of the proceedings, the counts filed against Atilla, and the defense presented at trial. See United States of America vs. Mehmet Hakan Atilla, Case No. : 15cr867 (SDNY). The Order was filed on February 7, 2018. You may access the order here. Panama attorney Ismael Enrique Gerli Champsaur, who is facing criminal charges in Panama City, for forging documents and illegally taking title to his client's real estate, reportedly gave attorney-client privileged communications and documents to representatives of the Spanish Government, to bolster a bogus case against the client, who has been detained for more than two years, as a material witness on a money laundering case that has never been filed. Gerli's testimony, given in the Canary Islands, has since been discredited, but the client, Vladimir Kokorev, remains in custody, and is presently under house arrest, though no charges have been brought against him, or any other individual, in an obviously political case, which has cast doubt on the Spanish Government's ability to control its prosecutors. 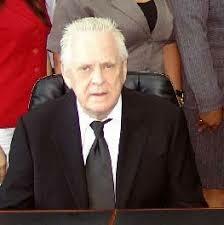 According to reliable Panamanian sources, Gerli bought his law degree from a corrupt university official, and since Panama still has the diploma privilege, which allows law school graduates immediate admission to the bar, without taking an examination, he has legitimate credentials, through he would be lost in a real courtroom. He employs bona fide attorneys to practice law on his behalf. Gerli's longtime client, Gary James Lundgren, is embroiled in a major dispute with the Trump Organization, over several issues relating to the Trump Ocean Club, over charges Lundgren embezzled millions, while managing the hotel/condominium project. Trump has filed a formal complaint against Lundgren with the International Chamber of Commerce, according to reports from Europe. Lundgren has been barred for life, by FINRA, regarding the sale of securities, or working with any registered securities broker.